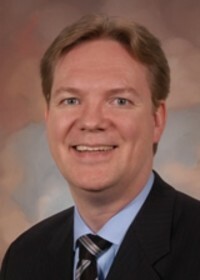 As a surgical oncology fellow at MD Anderson Cancer Center (MDACC), Dr. Robert Andtbacka participated on over 600 surgical procedures for various cancers, and performed over 1200 central venous catheter insertions, qualifying him to conduct the surgical procedure in the proposed research. While at MDACC, Dr. Andtbacka also received a fellowship to the cosponsored American Society of Clinical Oncology (ASCO) and American Association for Cancer Research (AACR) Methods of Clinical Research Workshop. This is an intensive workshop in the essentials of effective clinical trial design. During this workshop he designed phase I and phase II trials. After completing his fellowship at MDACC, Dr. Andtbacka accepted a staff position as a surgical oncologist at The University of Utah, Huntsman Cancer Institute (HCI). The experience at MDACC and the ASCO/AACR Workshop laid the foundation for him being a Principle Investigator or Co-Instigator on several university- industry- and NIH- funded grants. He is Collaborative IRB Training Initiative (CITI) certified and over the past 3 years, Dr. Andtbacka has designed and implemented a phase I / II clinical trial, and enrolled over 300 patients onto phase I, II, and III clinical trials. He has successfully administered these trials, negotiated budgets, complied with severe adverse event reporting, and attended to the surgical, medical, physical, and emotional needs of his patients. As a result of these experiences, Dr. Andtbacka has a keen understanding of the conduct of clinical research, including effective patient recruitment, realistic research goals, timelines, budgets, and the importance of effective communication between team members.